Reusable Bags Loaded With Lead? Not Exactly. It being sweeps, you’ll likely have heard news reports about unsafe lead levels in those handy imprinted reusable bags we’ve all gotten used to carrying to help the environment. Now that more and more communities are banning the landfill clogging plastic bags, reusable ones are making it onto the radar of a scandal hungry, ratings driven media. And so last week’s report from the Tampa Tribune sounded the alarm on lead content in reusable shopping bags. For their story, the Tribune bought two dozen reuseable grocery bags sold by Florida retailers (Winn-Dixie, Publix, Sweetbay, Wal-Mart and Target) and paid for two rounds of testing by Thornton Laboratoories. In response to the report on elevated lead levels, Senator Chuck Schumer (D-Ny) to is calling for an investigation by no less than the FDA, the EPA and the Consumer Product Safety Commission to determine the lead risk to the public. Lead coming into contact with the food we eat… everyone knows that can’t be good. We’ve all heard that lead is tied to behavior problems and learning disabilities in children, especially those under 6 years old. Adults exposed to too much lead deal with fertility issues, high blood pressure, nerve disorders, muscle and joint pain and memory problems. BUT, before you panic, there some things you need to know. First, the lead levels found in those samples fall within the current government allowances, but are higher than the soon-to-be-adopted standard of 100 parts per million. Second, the lead in the illustrations isn’t easily leached — just touching the bag would not be harmful, rather the lab experts worry that as threads wear down and paint flakes off things might change. Ironically, if the bags were to be thrown away the lead levels are high enough to cause problems in landfills according to EPA guidelines. Also, the bags tested are believed to have used a gloss laminate and a different series of inks than the most common reusable bag. As you see, the samples used (pictured at left) have a good deal of colorful photography as decoration, and that not a part of most grocery totes. The report, not surprisingly, seems to lump all reusable bags — typical for news stories tailored to an audience with the attention span of gnats, but hardly the whole story. And not to confuse things with logic, but the designs (any design) are generally on the OUTSIDE of the bag, while (last time I shopped) the groceries went on the INSIDE of the reusable bag. Now I don’t know about you, but I’m not in the habit of ingesting my grocery bags OR rubbing my food on the outside. 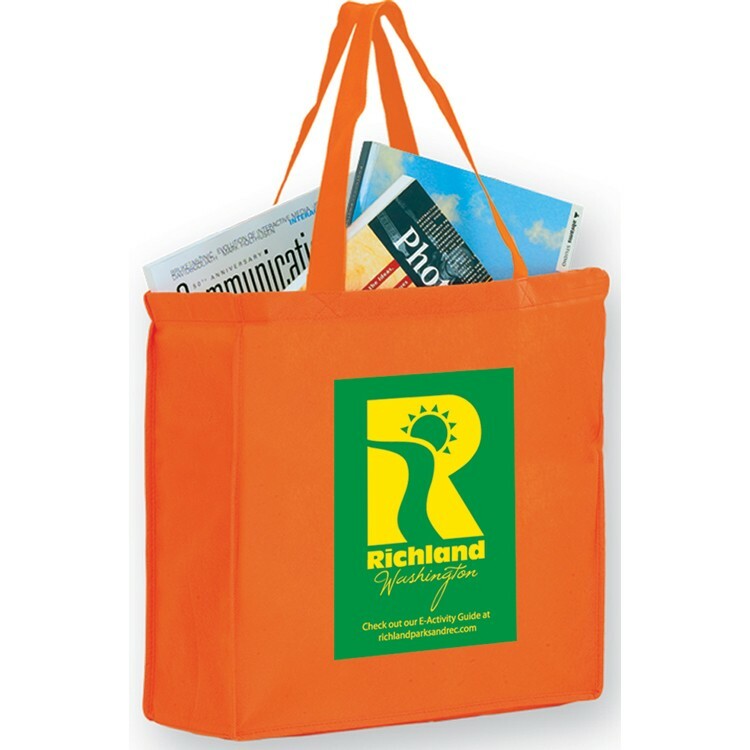 If your businesses offers reusable bags, being informed about the lead content issue is critical. While Senator Schumer has made the call for an investigation, no one’s taken up the cause as yet. Like the Florida businesses named above, you also need to have a policy of taking back (cheerfully) any bag that a customer is concerned about. choose designs that are less elaborate… as these tested better. Yellow and green paint on bags is thought to be a common carrier of lead. hand wash bags, without other clothes, as this helps and keeps bacteria buildup in check. Dry them in the open air. use the dreaded plastic (or paper) bags for dairy and meats. return any bag you’re worried about to the store and they will almost always exchange it for a new one. bring any bag you’re ready to toss to your area’s hazardous waste station, just to be on the safe side.